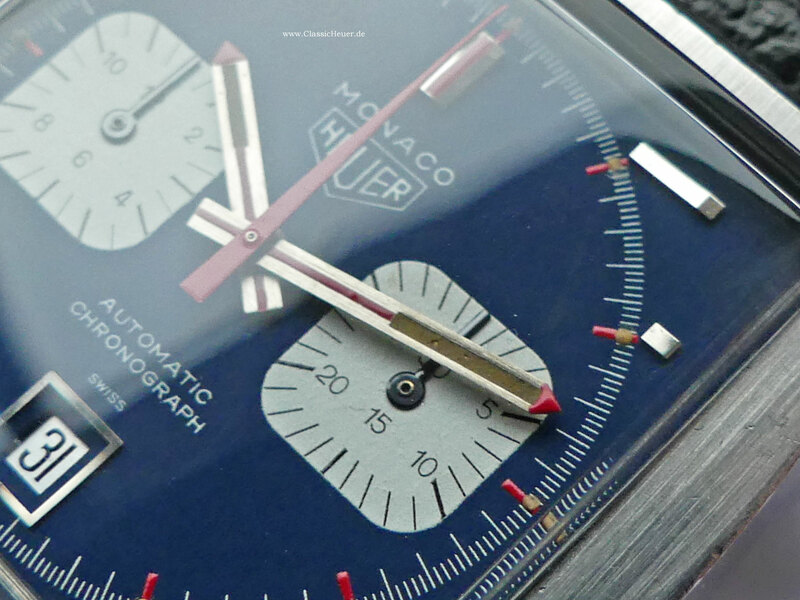 Exeptional ICON: Heuer Monaco “Steve McQueen” chrono with automatic movement from beginning of the 1970ties. 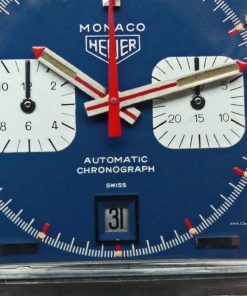 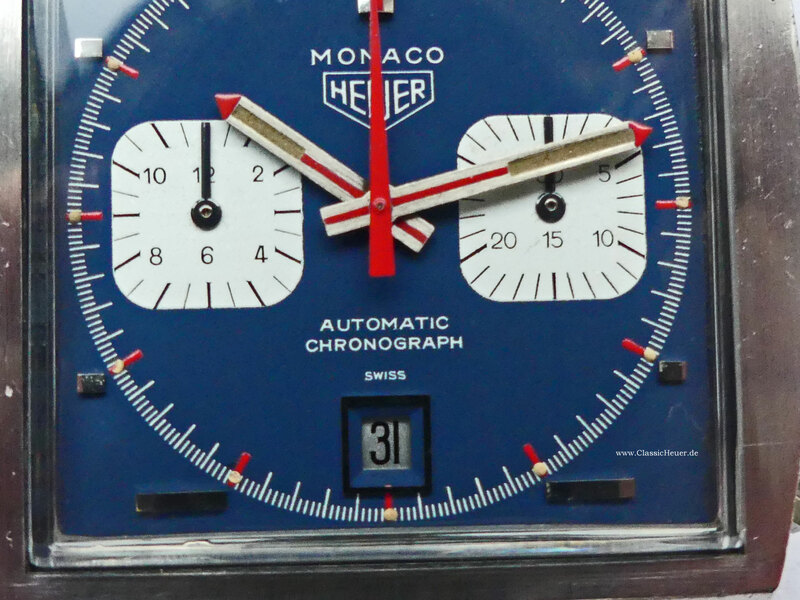 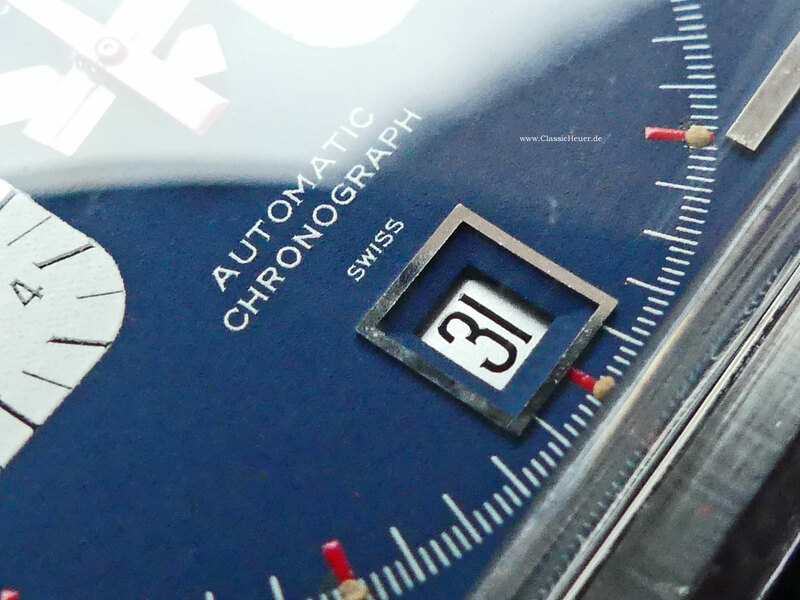 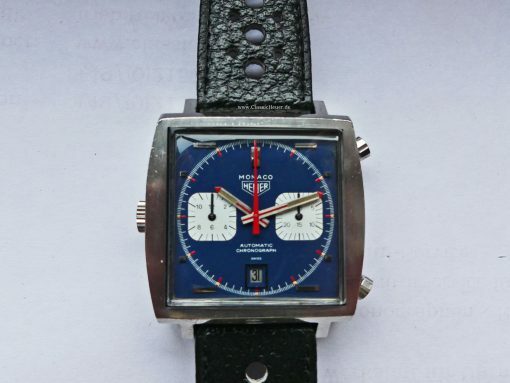 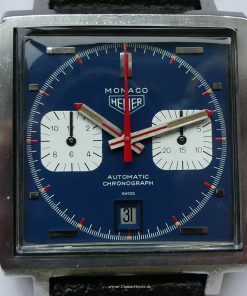 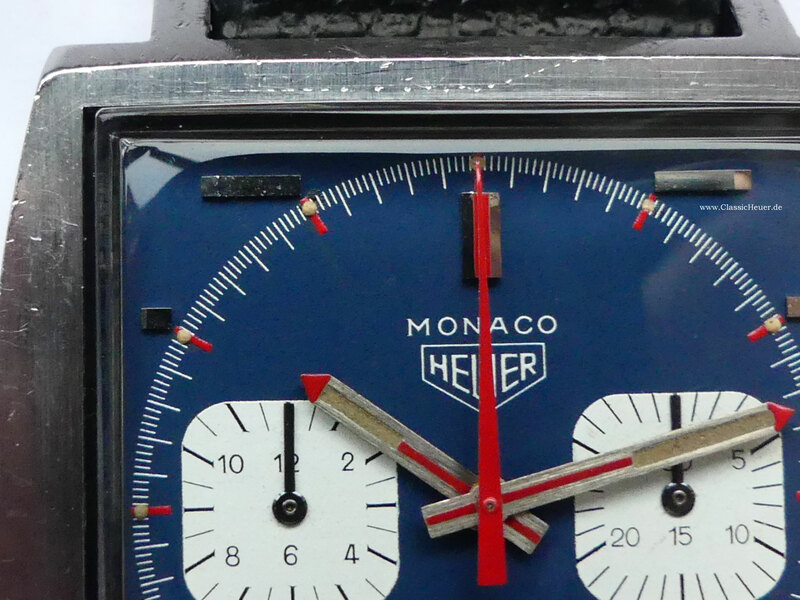 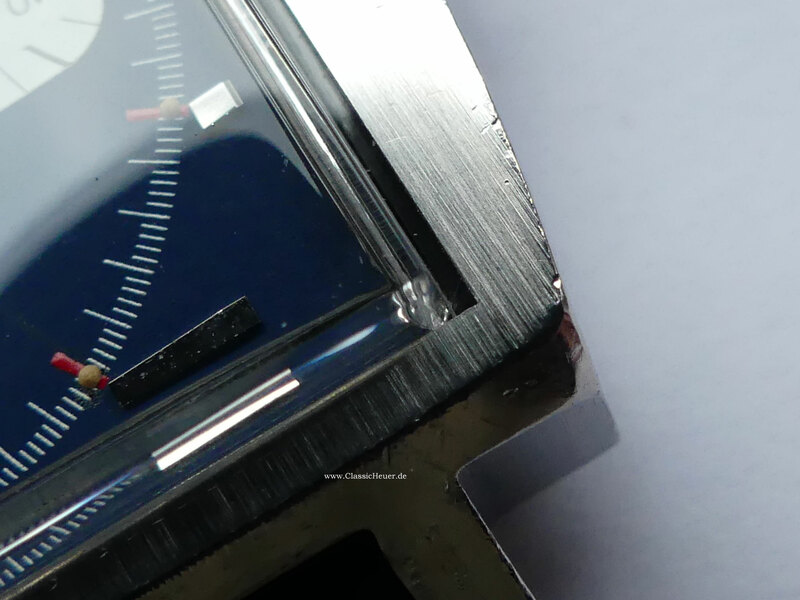 The watch with Heuer / Buren 12 has got the ref. 1133B. 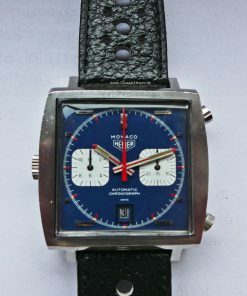 The watch is in used but very good condition with black leatherstrap and original Heuer buckle. 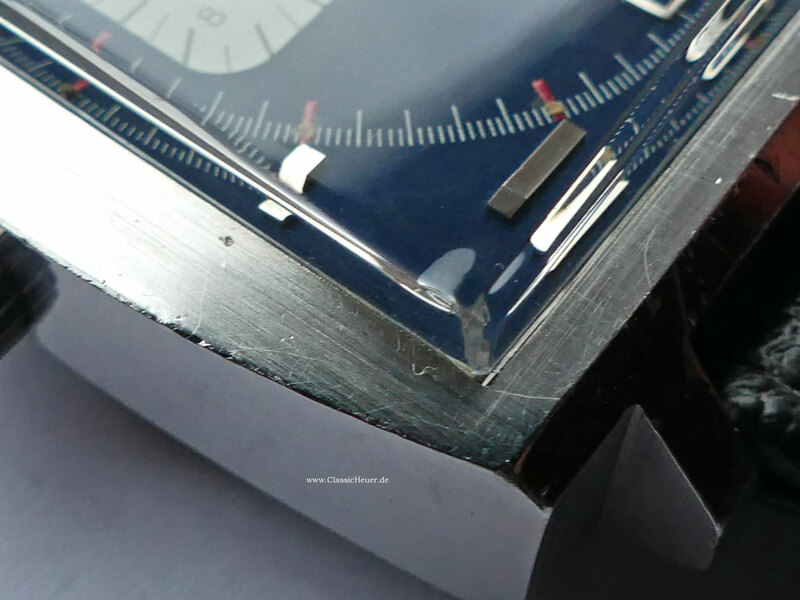 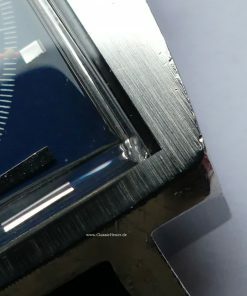 Authentic and unpolished case! 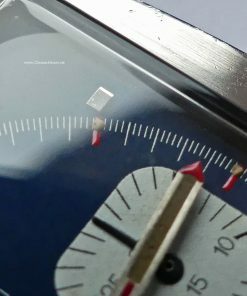 Only some traces of usage. 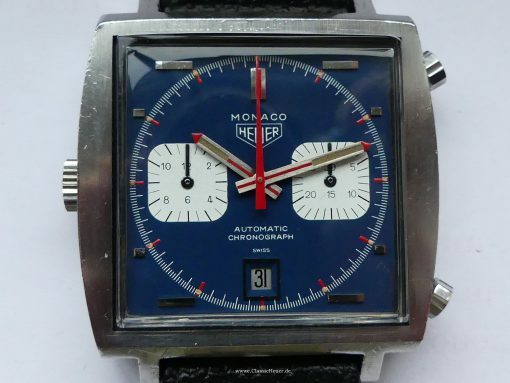 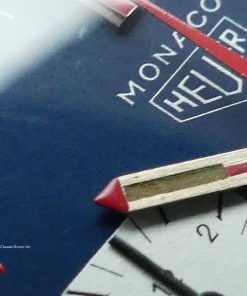 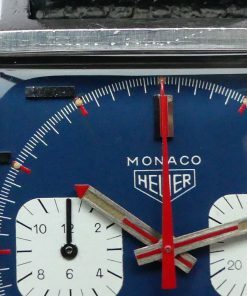 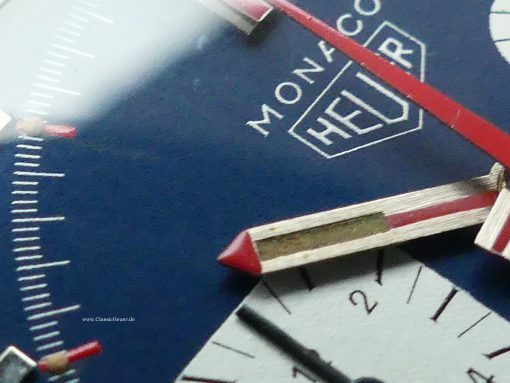 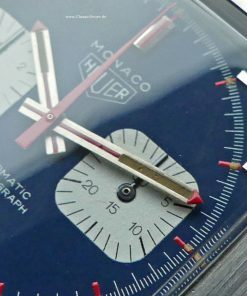 This Monaco type was worn by Steve McQueen on the filmset of “Le Mans” and therefore enjoy cult status nowadays. 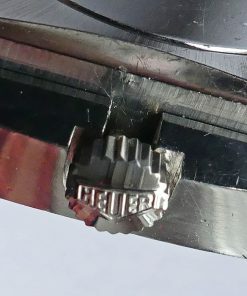 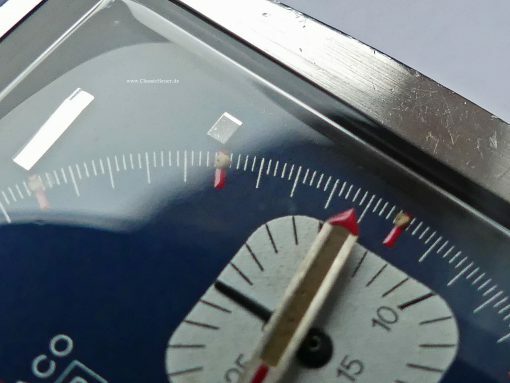 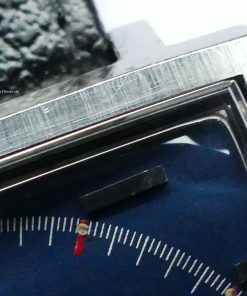 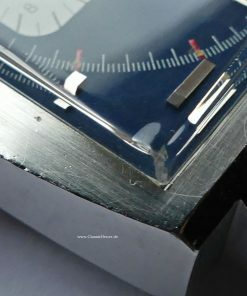 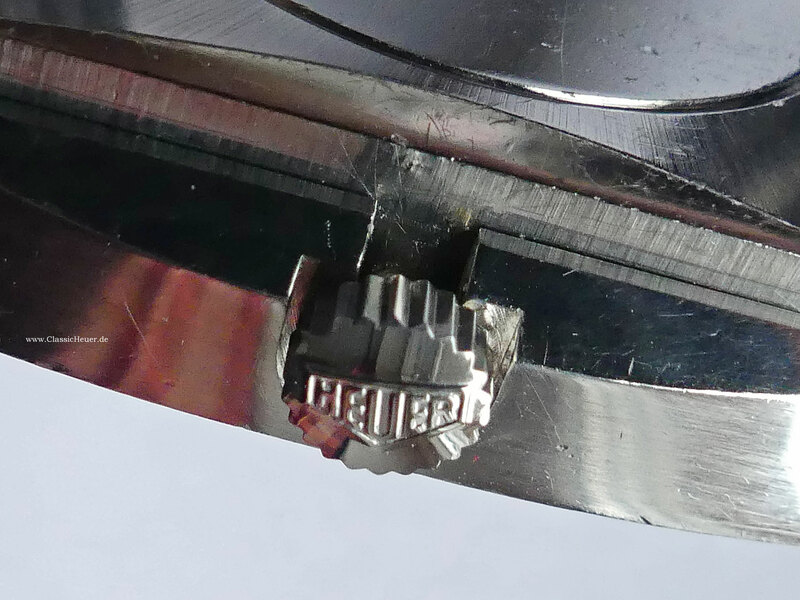 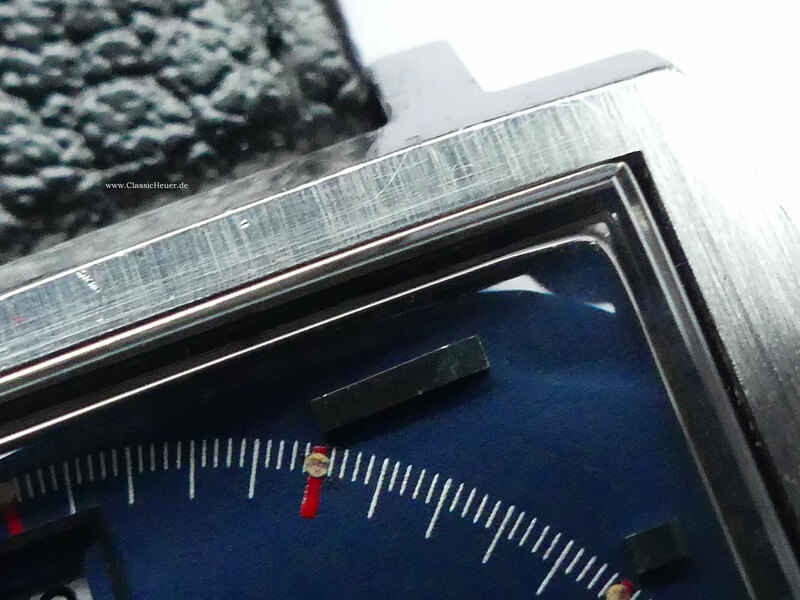 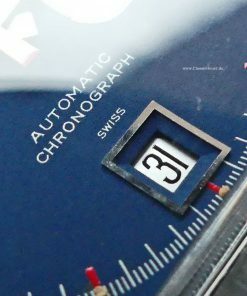 Crown on the left side and date indicator at 6 o´clock.